Welcome to Leith Nautical Sailing Academy and thank you for visiting our site. Leith Nautical is an Edinburgh based RYA training centre, run by a team of passionate sailors. Over the past eight years we have been providing courses for sailors, power boaters , coastal rowers, sea kayakers, and divers. We offer a wide range of RYA shorebased courses, including Essential Navigation and Seamanship, Day Skipper, Coastal Skipper/Yachtmaster Offshore, Ocean Master, First Aid, VHF Marine Radio (SRC), and Sea Survival. We have a number of special offers on our shore based navigation and on line courses. Please have a look at “Courses” to see our comprehensive 2019 programme. For those who prefer to learn on line at home please take a look at our on line courses. We currently have some really fantastic offers on our Essential Navigation and VHF / SRC Marine Radio courses. We have no switchboard, or office staff, you will have to go through: you will be speaking directly to one of our instructors who will discuss the course with you. Our courses run throughout the year with our navigational theory courses beginning in January 2019, when most yachts are out of the water, and the courses take place in Edinburgh at the very impressive Trinity Bowling Club. In the Summer months we like to go sailing, and we’d be delighted to take you with us. Just get in touch and the rest will be plain sailing !! 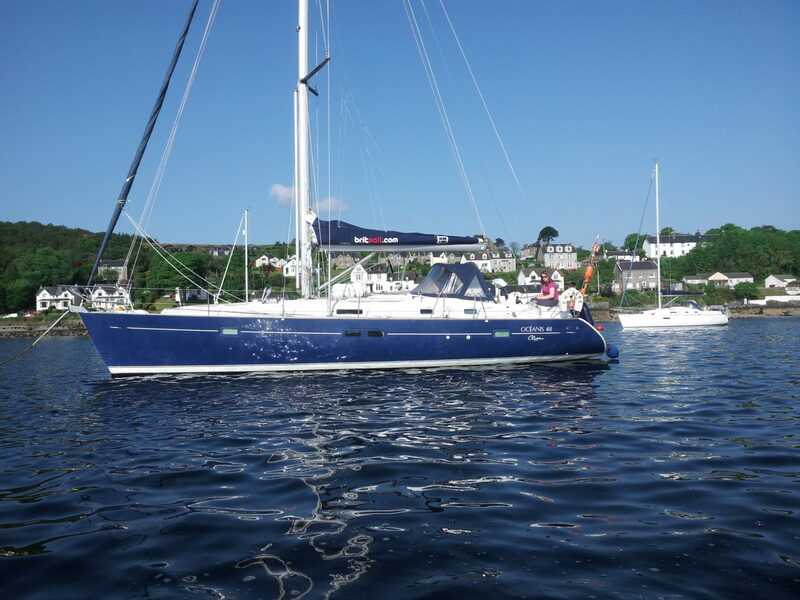 We offer practical courses, sailing on the Clyde with Britsail aboard a fabulous Beneteau 411. These can be either at the weekend or during the week from April until November. We are planning trips to Croatia, Sweden and the West of Scotland in 2019 and would be delighted if you’d like to join us. Please give Rosy a call for more details. Please take a look at out Croatia page for details of the 2019 dates. If you would like other dates please do contact us and we will see what we can do for you! This is the way to build up your practical course experience; 100 nautical miles for the Day Skipper, 400 for the Coastal and 2500 for the Yachtmaster Offshore. We can fit in night hours and longer passages. If you need an ICC, for example if you’re planning to charter a boat abroad then it’s easily organised. Our instructors run ICC with the RYA Practical centre Britsail. The ICC can be obtained either on one of Britsail’s boats, or if you prefer, on your own boat. Cruising the beautiful Clyde on a lovely big comfortable yacht for a week or a weekend: perfect: what could be better? We pride ourselves on being as flexible as we can be. We also have a YouTube Channel which will help you with your theory knowledge. It is free to subscribe to our channel, please check it out.